R3 China study: Ruder Finn tops "client-side endorsements"
Ruder Finn and Ogilvy appear to have been two of the big agency winners in the R3 Worldwide China PR Scope 2015 research. The industry-wide trends revealed in the findings were first reported by PRWeek earlier this week. There are two major sections in the study; perception, which tracked the overall industry view of firms, and performance, which assessed how individual clients judged their agency. According to R3, Ogilvy led the way in terms of perception, with Ruder Finn taking top marks for performance, being ranked number one across five categories: contribution to business growth, client performance, market insight, breakthrough thinking and campaign effectiveness. R3 China managing director Sabrina Lee said: "We conducted in-depth research across 125 client-side marketers with decision-making responsibility for appointing and managing public relations firms in Greater China. Ruder Finn China achieved outstanding scores across the most important, added-value categories in our 2015 study. We track more than 18 categories, but Ruder Finn scored number one where it matters most for clients in terms of measurable business impact, insight, thinking, effectiveness and creativity. There are larger firms out there in terms of size, but no firm comes close to Ruder Finn in terms of such a clear client-side endorsement in the areas that clients value the most." The study also showed close to 90 percent of Ruder Finn China’s clients were very satisfied/satisfied with the firm’s service and counsel, an increase of 11 percent since the previous 2013 R3 study, along with an average client relationship of eight years. 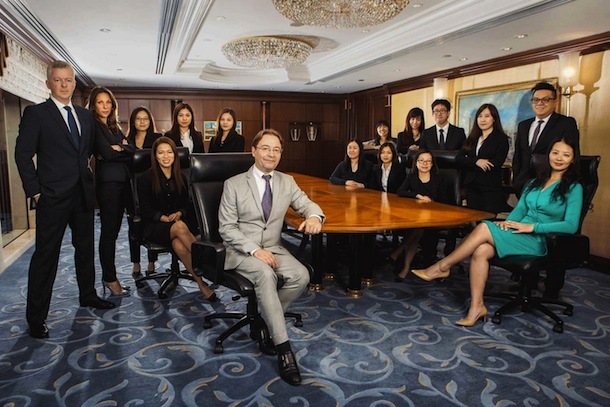 Jean-Michel Dumont, chairman of Ruder Finn Asia, said the firm’s business had doubled in China since 2010: "In addition to growing the Ruder Finn business, we also established our sister brand, RF Thunder, which opened two new offices in the last 12 months in Hong Kong and Beijing as well as opening RFI Studios as a separate and specialized digital firm," he said. "This expanded portfolio delivers the precise services and support clients seek in Greater China in 2015."